Mikey Garcia: I'll Get 5th Title, I'll Be a Champion at Welterweight! 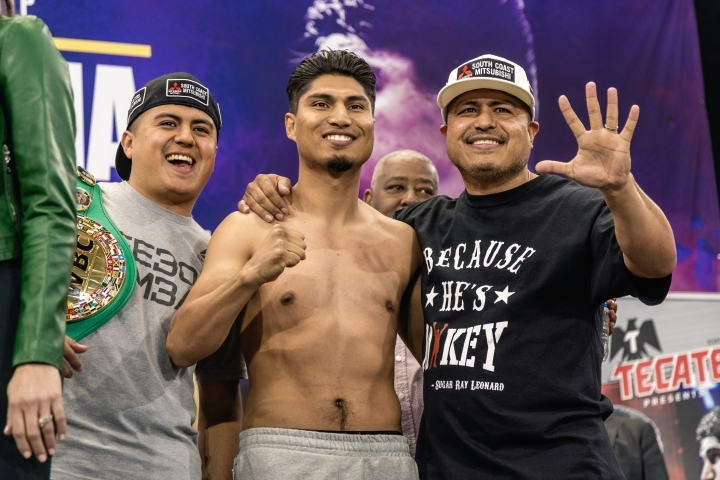 Four division world champion Mikey Garcia does not hide his displeasure over Saturday's loss to Errol Spence and acknowledges that he was far from having the performance he needed to achieve a fifth divisional title. However, he assured that he will try again in the future and considered it pertinent, for now, to lower his weight division. The Mexican-American boxer acknowledged that he did not have the speed to counteract Spence's good strategy and stressed that he was never on the verge of being knocked out as some say, because he never felt Spence had seriously hurt him. Garcia will go for a welterweight title in the future, but for now he's not sure where his future will take him. "I think I'm going to achieve [a fifth divisional title], I'm going to be a champion in that division [welterweight]. I'm resting and in a week or two I'm going to plan my future. something more comfortable," Garcia told ESPN Deportes. "But I know that I can fight at welterweight with other champions, not all of them are as good and strong as Errol Spence, sometimes you have to choose the most suitable opponent. As I wanted a challenge, I went for the biggest, but I will look for challenges in other divisions to see something more comfortable. "I do not know yet [if I will go down to 135 or 140 pounds], I'll see the available options, I can do 135. I'll say that at 145 I did not feel that the weight was too much where I can't get down to 135, but getting into the ring at 152 or 154 was a big difference for me to be agile and fast. "I would love the fight with Lomachenko, it's an attractive fight, it has been cooking for a couple of years and mentioned a lot, it would be a perfect fight for me. At 140 the champions are in the tournament (World Boxing Super Series) that is ongoing. I do not know who will come out as a star and if an interesting name comes out we can fight him." He has plenty of time to do it . very few boxer has become a 5 division champion that's why dela hoya is one of the best because he's a 6 division champion. If Broner and Paulie can get straps at 147....so can Mikey.